Spanish cuisine is closely tied to religious popular festivities in which family, neighbours and friends gather around the table to taste the dishes and sweets that are typical of each occasion. Christmas is the time to have roast lamb and turkey, Spanish nougat, marzipan, shortbread and mantecado (a crumbly shortbread). In Easter it is traditional to have mona (Spanish Easter cake) and chocolate eggs. Other widespread festivities are related to the harvesting of crops, like reaping or grape harvest. Other festivities are celebrated locally and have the purpose of praising a particular product, like the seafood festival, and festivals of lamb, cherry, wine and cider, to name a few. In all of them we can try special dishes that make up an important part of Spanish cuisine, known as "holiday cuisine". Spain is the country that devotes the most farming surface to vineyards. There are vineyards in the north, south and centre of the country; at sealevel and up in extreme heights; and on eastern and western mountain slopes. Most of them consist of native varieties, and when they are foreign, they are picked from the world's finest. As a result, there are so many different wines that only France and Italy, the other traditionally oenologist countries, can boast a comparable selection. Each dish has a corresponding wine, and finding it is a thrilling exercise whose reward will be the pleasure of having both food and drink together. Some sixty Designations of Origin for Wine are at your disposal to choose from. To round it off, we recommend you have a little glass of liqueur. In Spain, an enormous variety of liqueurs is produced, of very diverse origin and very pleasant taste. Traditionally, liqueurs are considered to be an effective aid to digestion, so there is really no better way to end a good meal. 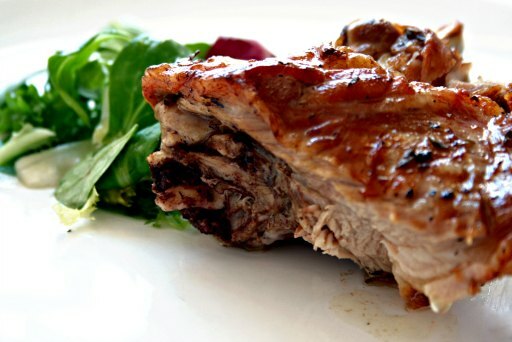 Spain is, beyond a doubt, the country where you will find mediterranean diet at its best. That is probably the reason why our country today is a health food mecca. The quality and variety of ingredients, the careful culinary techniques and the contribution of the trendy, imaginative nouvelle cuisine, make it possible to enjoy an exceptional gastronomy. Spain offers a wide variety of restaurants to choose from. Excellent, varied and of great quality, these restaurants constitute a true bargain for their price. The typical foods from all the different Spanish regions have their own personality, and we recommend that you try them all and compare them. All across Spain, in every Autonomous Community, you will find a restaurant that will meet your taste and demands, as well as the local products that are used to make specific recipes.